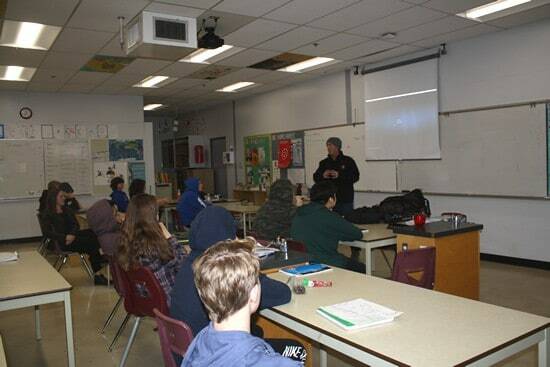 I enjoyed meeting with some of the Grade 10 students in Merritt BC Canada yesterday to discuss the “Experience Nicola Valley Blog” and a new youth blogging initiative. My aim was to excite, educate and to invite students to participate in the community blogging program. In doing so they will learn some valuable skill sets on how to have fun blogging effectively while, at the same time, creating a positive youth voice in the community of Merritt BC Canada. Everyone wins. Exciting right! 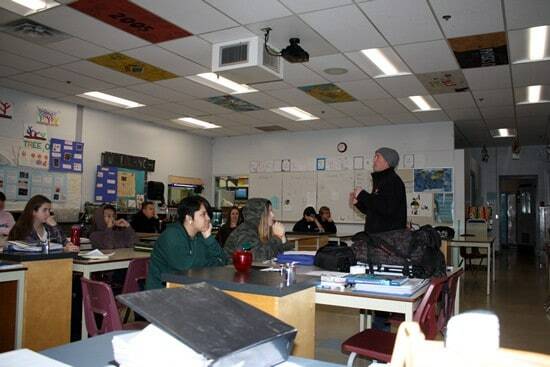 Yesterday I met with about 15 students at the Merritt BC High School. I was there to share my story and to discuss the benefits of blogging and the opportunity available to them to participate in the Nicola Valley community blog. Of the 15 or so students in attendance, I would guess about 4 or 5 of them showed a spark and some interest and, maybe, just maybe, might take the next step and want to participate. The others in attendance? While you know, we were all in high school at one time in our lives. It just wasn’t for them. That is cool too. To each their own. I have always had faith in our youth in this country. I know, full well, that every community has a creative, positive and curious youth population. It is a population with a voice looking to be heard. Merritt is no exception. I knew from my previous experiences that… somehow, somewhere… there was a youth voice to be found in Merritt. I also know that the Nicola Valley blogging program is a great opportunity for youth to learn some valuable skills that will stay with them long into their future careers. Check out the benefits list below. Why is this initiative important to me? Simple! I want to make a difference in small communities, in the lives of people and in the tourism industry. There is so much bad information on the internet. With all the poor advice coming down the pipeline from so called experts I feel I should help when I can. Make a difference as they say. In many ways I am just a big kid who grew up and managed to hold on to some of my best childhood traits like curiosity, energy, determination and creativity. I am thankful for that. These traits have become a big part of who I am today. The art of blogging has helped me to keep these traits alive within me. These students needed to hear that. I believe it is better when you make your own opportunities so I reached out to the school. As I see it blogging is a doorway to many great opportunities for these students, their parents and teachers. I felt it was important that we meet. I understand the many benefits youth blogging can provide a student, a literacy program, and a community. My job is to make it happen, educate and to share with the masses the opportunities this community blogging project can deliver. Youth blogging can develop a sense of classroom unity and establish a youth identity in the community. I believe integrating blogging into the literacy curriculum will improve a students’ literacy skills, and increase levels of engagement. Blogging teaches creativity and how to hold onto it. A youth blogging program develops traditional and new literacy skills in an authentic and ongoing way. Blogging opens up new life experiences as it propels youth to write about many subject areas of a community like history, adventure, activities, food, events, culture and traditions. Improves parent and child interactions as blogging encourages parent participation in the youth blogging program. Blogging is an excellent tool for learning to be a responsible member of a community in an authentic and ongoing way. A blog shapes the digital footprint of a student in a positive way. A blog can help a student in their development of communication skills. The process of writing down your thoughts via blogging assists students in organizing their thinking, developing their thinking and helping them work out what they are thinking. Blogging provides a voice for the students in a community. Youth blogging can connect students with other youth from around the world. Blogging allows you to socialize, consume content, create content and have fun while learning and making a difference. Today in Merritt British Columbia Canada we started the youth blogging process. We shared some of our stories and the many benefits of blogging. We can only hope that when the students go home and discuss this opportunity with their parents that they too see how blogging can empower a youth who has ideas, dreams and aspirations. Thank you to their teacher, Lindsay deVisser, who was gracious enough to provide us with some of her class time to meet with the students. Now we wait and see what comes out of yesterday’s presentation. I feel positive and will keep you posted. If you are reading this and you are a Merrittonian and you know a youth in Merritt who would be ideal for this program please contact Experience Nicola Valley. Want to learn more about our blogging program for your community including our youth initiative program please contact me below. I have been watching you guys for some time now, and love what you are doing and embarrassed by the push-back you get from the industry. I am flabbergasted that more communities are not tapping into your knowledge base by supporting you 100%. 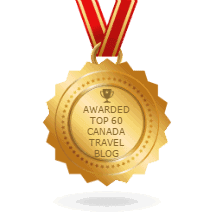 Something is wrong, when Canadian businesses support out-of-country corporate booking websites and not a Canadian travel website built by Canadian entrepreneurs wanting to provide Canadian jobs. They should all be ashamed of themselves.